Ride Granada is the creation of Rafa Manso, a small company based in Granada (Andalucia, Spain), at the foothills of the Sierra Nevada. 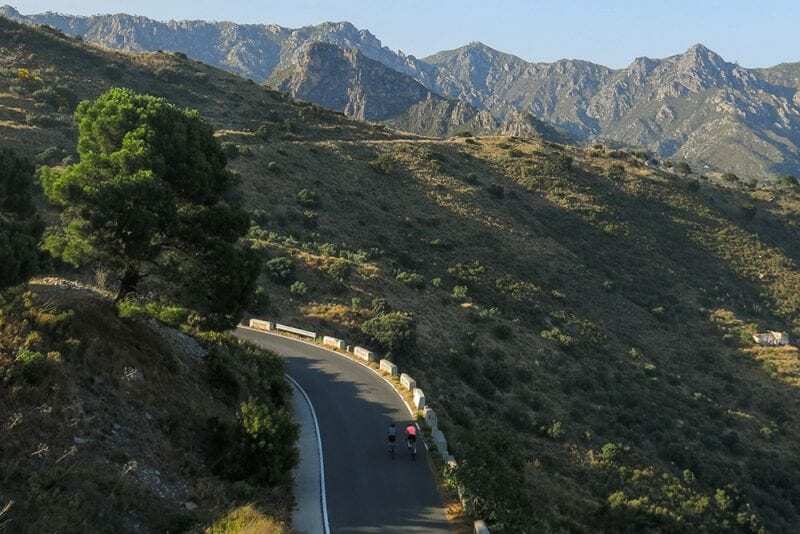 On this ride Rafa takes us on a well known loop from Granada to the tropical coast and back through one of the most impressive climbs in this area, the Goat’s pass (La Cabra). The Goat’s Pass is the old road that connected the coast with the inland and was mainly used by merchants who used to travel on mules bringing fresh fish from the coast to the markets in the city of Granada. The trip used to take several days, sometimes even travelling by night to avoid the hottest hours. Later the pass was used by citizens of Granada to access the beaches in the summertime, since at that time it was the only route down to the coast. The Goat’s pass starts in the tropical coast and it is open all year long due to its moderate temperatures, even though it goes up to 1,300 m.
The climb itself departs from the Jete junction, around 150 m high and lasts 22 km averaging a 5% incline. The ascent is steady from Otívar, just after a light descent, where the climb averages around 6-7% for 11 km. At this point we reach a lookout, just where an old gas station and a restaurant now lie abandoned, but still shows the importance of this route in the past. 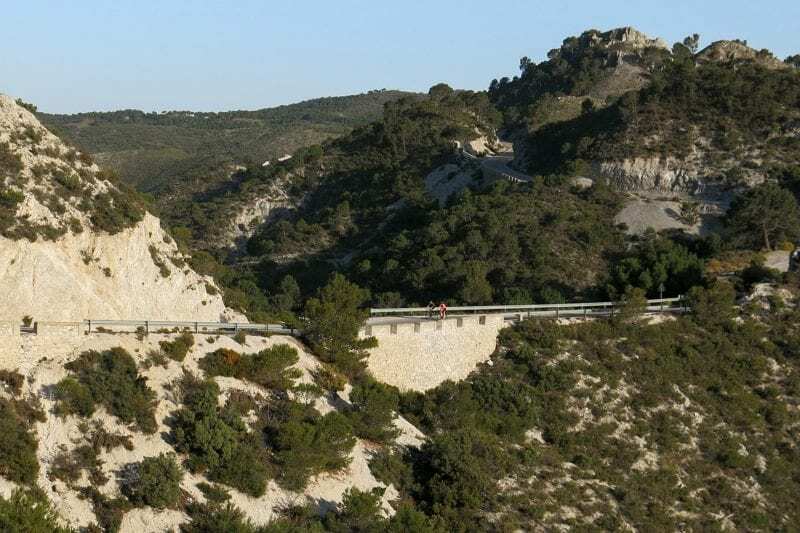 For the next few kilometers the road gets flatter, alternating short and easy uphill roads with a few light descents before we go into the last and hardest 3 km of the climb along a breathtaking lunar landscape that evokes images like those in the “La Casse Désserte” in Col d’Izoard. 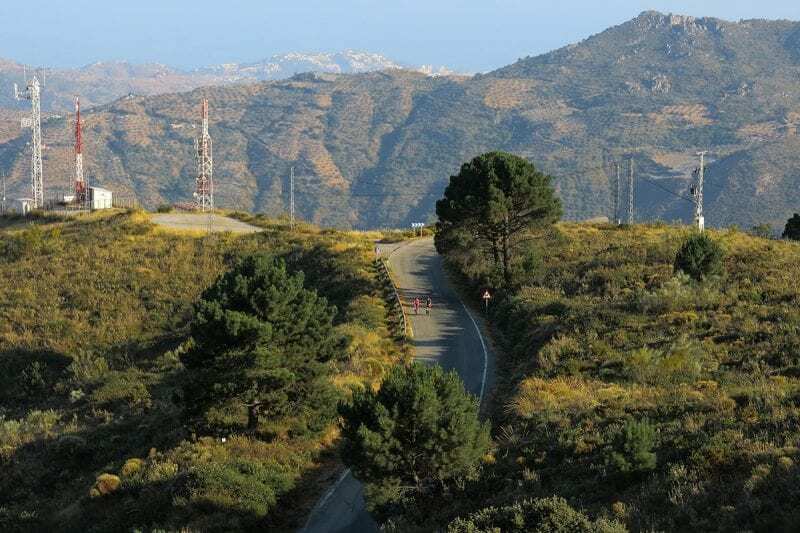 Once we get to the top, and before we start the descent to the city of Granada, we still have to accomplish one last challenge; to ride for a further 10 km of wasteland along a narrow coarse road. 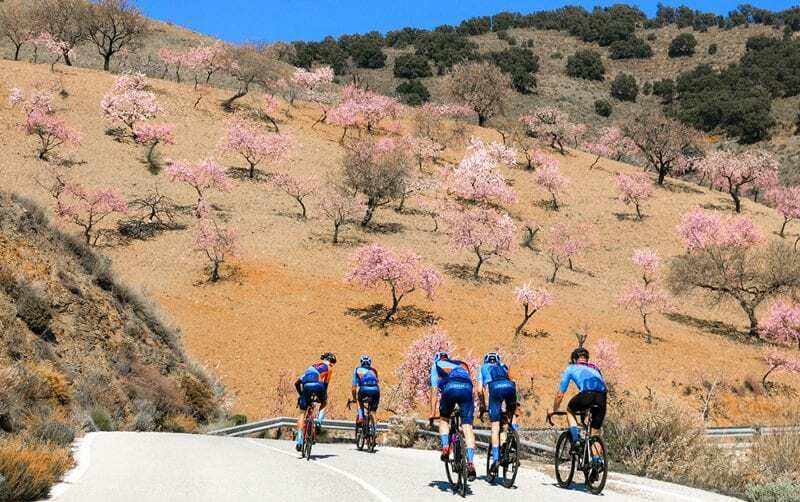 Ride Granada offers fully guided tailor made cycling training camps and cycling holidays for road bikes and gravel bikes. We plan each day according to rider ability, preferences and schedule. Consequently all our training camps and cycling holidays can be adjusted according to rider ability. 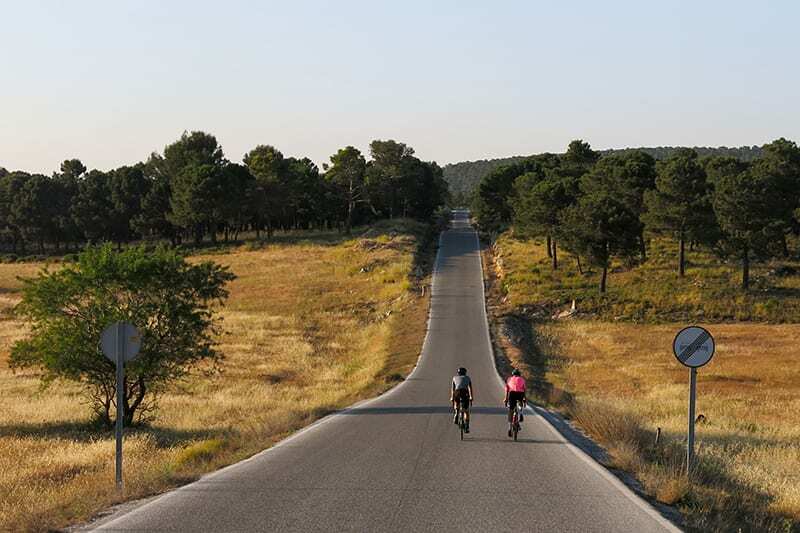 Our guides are cyclists with extensive experience in guiding and racing. In addition they are also locals so they know the best roads and climbs in Granada and the Sierra Nevada. They know the most quiet routes to ride and to enjoy. Their local insight makes it easy for us to offer our customers the best possible experience on a bike.